This episode begins in the sorrowful aftermath of the latest mass shooting in America. The dark atmosphere becomes compounded by the realization that the United States is now the only country in the world that has not signed the Paris Climate Accord. After considering the grief and fear caused by the procession of tragedies and the practices of denial, Meade turns to the old idea of the Friends of the Soul as a way for people to find meaningful levels of support and encouragement in the midst of these troubling times. He draws upon ancient traditions from around the world to bring back to life the sense that we need soul friends, whether it be in the form of a confidant or companion, a mentor, teacher or lover. If we are to survive the flood of tragedies and growing climate threats it becomes more important than ever that we find genuine Friends of the Soul. If we are to create a collective transformation of culture we need genuine friends who can help nourish our inner spirit and sustain the true aim of each other’s lives. "Brings me in stillness and silence - hits the mark." 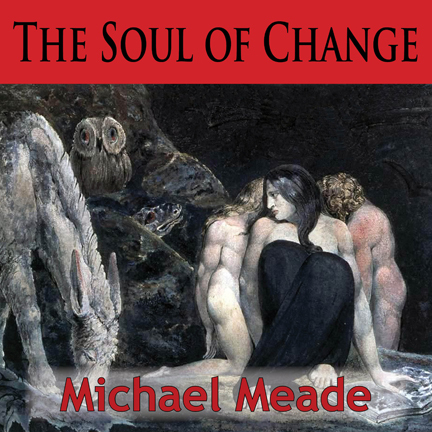 "Michael Meade is always full of wisdom!"